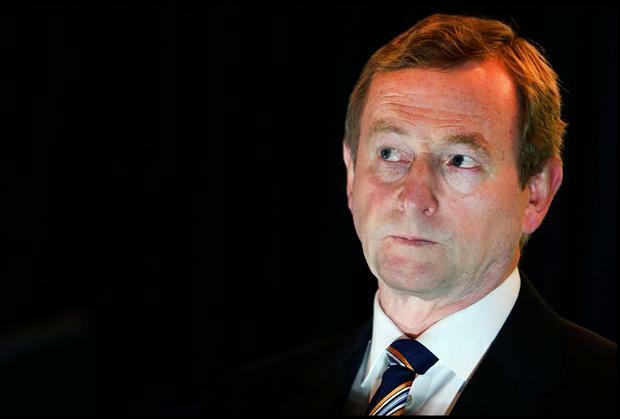 In one of his last acts as Taoiseach, Enda Kenny will travel to the United States for a two-day trade mission. The outgoing Fine Gael leader, whom commentators have observed has always appeared at his most comfortable while representing Ireland abroad, will spend two days promoting Irish investment and businesses. As his successor Leo Varadkar meets with various ministers and opposition members at home Mr Kenny will return to the US just a few short months after he met with President Trump at the White House and made an impassioned speech on immigration at a St Patrick's Day event. However, this time around Mr Kenny will travel to Chicago to support the growth of Irish companies in the state of Illinois and promote trade, investment and tourism for Ireland. “My visit to Chicago is an opportunity to support the growth of Irish companies in Illinois and further deepen our commercial links with the US,” the Taoiseach said. The mission begins tomorrow with an address to the Chicago Council on global affairs before meeting with Chicago Mayor, Rahm Emanuel and various Irish diaspora. On Tuesday Mr Kenny will meet with members of the Chicago Irish Immigrant Support Centre and address an event for Tourism Ireland. He will also meet with potential and current investors in Ireland and Irish companies operating in Illinois during his visit. The Taosieach is also expected to attend the Messines Commemorations on Wednesday before returning to Ireland. Mr Kenny's future role in the administration remains unclear and it will likely not be confirmed until after his visit stateside.